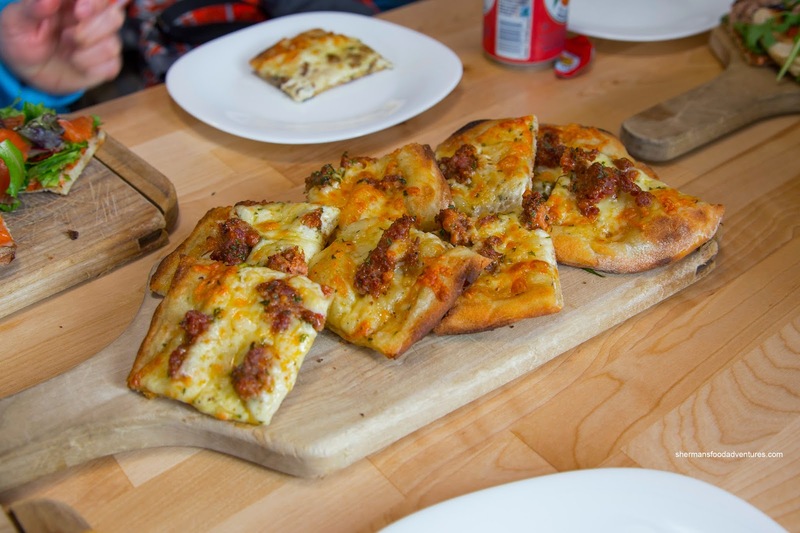 With the whole Neapolitan pizza craze, many other types of pizza have been somewhat forgotten. There are so many kinds including the standard stuff like Fresh Slice, Panago and Domino's. Furthermore, you have the ones with a tonne of toppings like Bella and Gigi's, not to mention the loaded Hot Oven pizza. 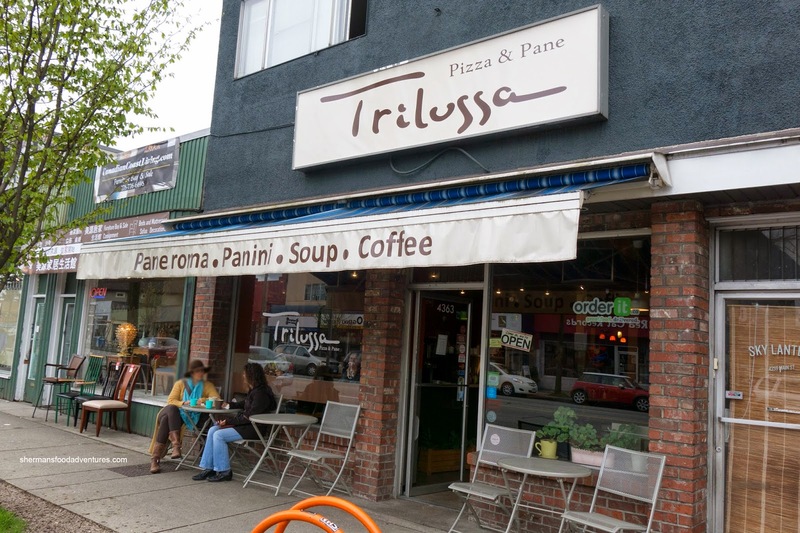 Then we have the Roma Pizza found at Trilussa out on Main Street. With a couple of Groupons (yes, again) in hand, we went to try out some of their wares. 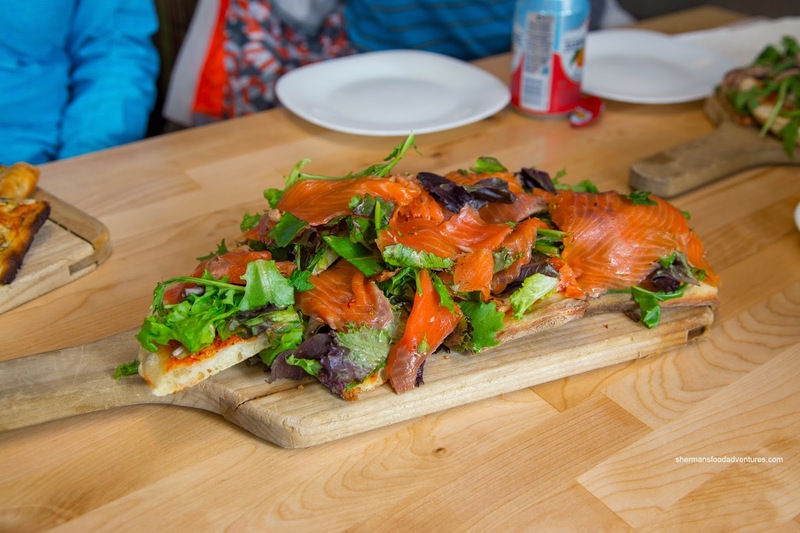 We ended up splitting the 2 pizzas into 4 different types including the Vancouver consisting of smoked salmon and organic mesclun greens. Almost completely obscured by the enormous pile of greens, the thin crust was crunchy and dry around the edges. Despite the visuals, this ate pretty light due to the ingredients involved. We thought the amount of smoked salmon was sufficient for pizza. 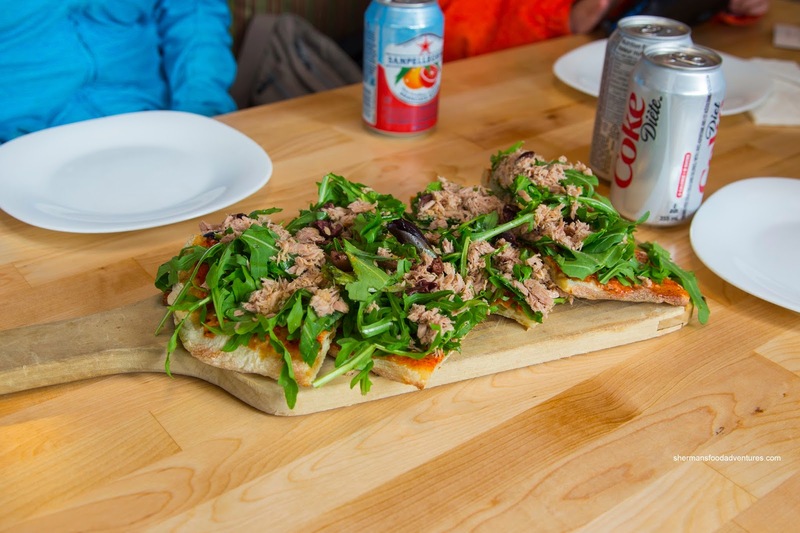 Next up, we had an off-menu item consisting of Tuna, Arugula and Olives. As much as this was not universally appreciated at the table, I personally loved it as the peppery arugula and salty olives helped elevate the otherwise plain tuna. Much like the previous pizza, this didn't feel heavy at all. Onto more typical toppings (and the fact my son would not even go near the previous 2), we got both the Attilio (mushroom & mozzarella) and Garbatella (sausage & mozzarella). Possibly due to the mushrooms, we found the Attilio more aromatic where even the cheese had impact. As for the sausage, we liked how it was meaty and easy on the fat. There was a slight background spice which helped flavour an otherwise pretty plain cheese pizza. When we were done, there was a considerable amount of leftovers. 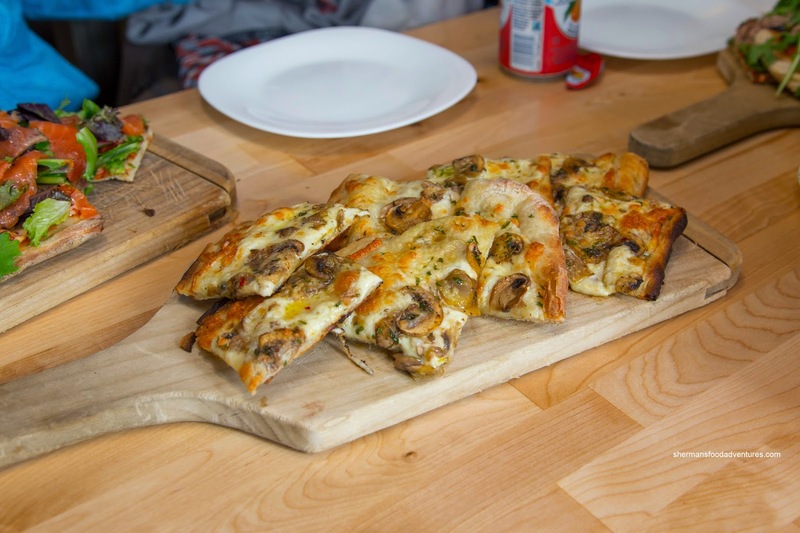 Yes, 2 foot-long pizzas for 2 adults and 2 kiddies was too much food. Hence, as much as the prices are on the higher side, you don't need a lot to get full.